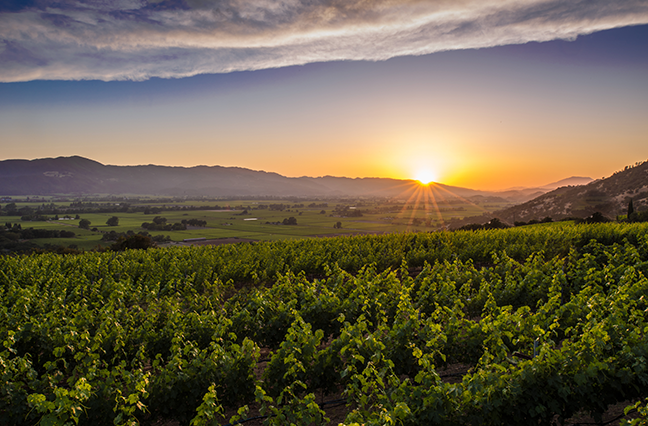 Napa Valley is open for business. While the October 2017 wildfires directly affected the people who live and work in wine country, because the fires burned predominantly in the forested hillsides, the Napa Valley floor between Highway 29 and the Silverado Trail was largely unscathed. According to the Napa Valley Vintners, a nonprofit association, 10 of the more than 400 Napa County wineries suffered significant damage. However, like Signorello Estate, which lost its winery buildings but was spared its 40 acres of vineyards, most were not completely wiped out. Overall, the Napa Valley wine industry was lucky. Because of a heat wave, vineyards harvested their grape crops early last year, picking nearly 90% of the grapes before the fires started. The first 2017 wines, like Sauvignon Blanc, rosé and other aromatic whites, were released in the spring. And since most wineries store their wines off site, there was not a major loss of inventory. Even Signorello Estate did not lose any wines barreled in 2016 or any of its bottled wines. The hotels of Napa County were also spared—none were burned. In fact, there are several new and refreshed places to tuck into high-thread-count linens. Vintage House in Yountville emerged from a transformative multimillion-dollar renovation last October. Archer Hotel Napa, a new luxury boutique hotel in downtown, recently opened and will soon be surrounded by First Street Napa, a new complex of upscale shops and restaurants. This month, both the Tuscan-inspired Vista Collina Resort (a destination unto itself with nine onsite tasting rooms and a Food & Wine Center) and Francis House in Calistoga (a luxury inn located in a landmark Second Empire-style building) are slated to make their debuts. Several new restaurants have also opened. Last spring, chef Charlie Palmer opened Charlie Palmer Steak and Sky & Vine Rooftop Bar at the Archer Hotel Napa. Also downtown, Gran Eléctrica Napa, the second outpost of the Brooklyn-based original, is now dishing up its upscale Mexican cuisine on Main Street. Up north, Calistoga Kitchen has reopened as Lovina after closing for remodeling. The charming, chef-owned restaurant features meat, produce and fruit sourced from local farms, ranches and orchards as well as wines from small producers in Calistoga, which you can enjoy on the patio. The upshot: if your jam is Napa Valley wine—Cabernet Sauvignon, Merlot, Pinot Noir, Chardonnay, Sauvignon Blanc, Zinfandel, Cabernet Franc—the best way to show your support for the vineyard owners, winemakers and agricultural workers who collectively produce bliss in a bottle (as well as everyone who works in Napa’s blissful hotels and restaurants) is to book a trip to wine country. You can expect rows and rows of neatly pruned vines as you drive along the Silverado Trail, copious amounts of wine to taste and ship home, sublime dining experiences from a Croque Madame on Bistro Jeanty’s terrace to a picnic-to-go from Napa Valley Olive Oil Company, and plenty of exceptional places to stay.